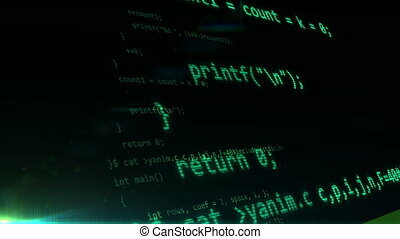 Looping animation of the programming code. 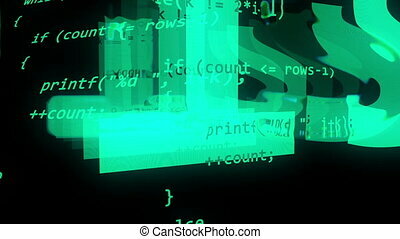 "Abstract programming code with digital glitch noises on a screen"
"Abstract programming code moves in the camera. 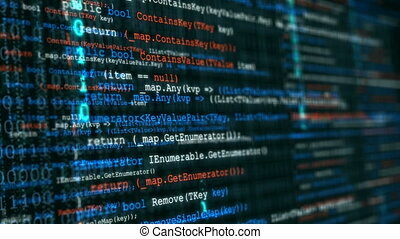 Software development concept." 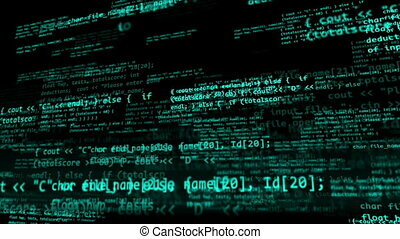 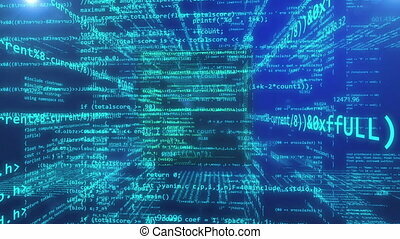 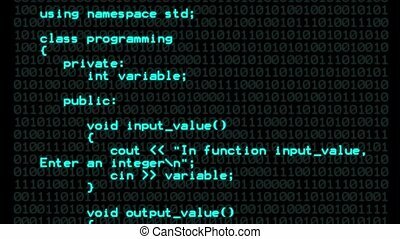 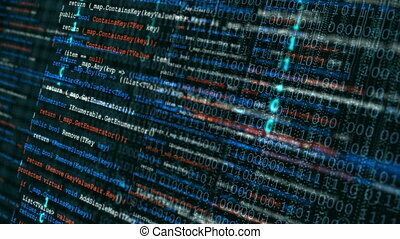 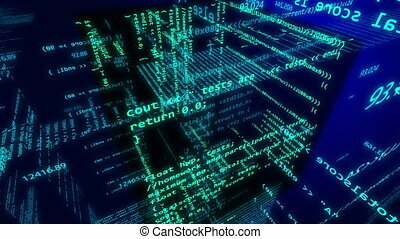 "Abstract coding programmer code screen background. 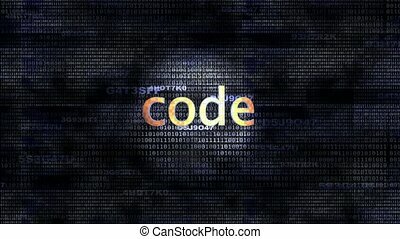 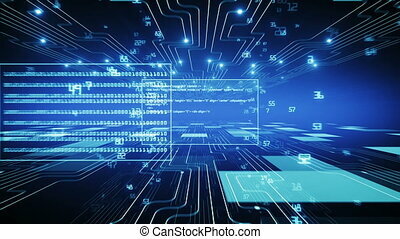 Software development concept,"
The word Code in front of a digital background representing executable code.